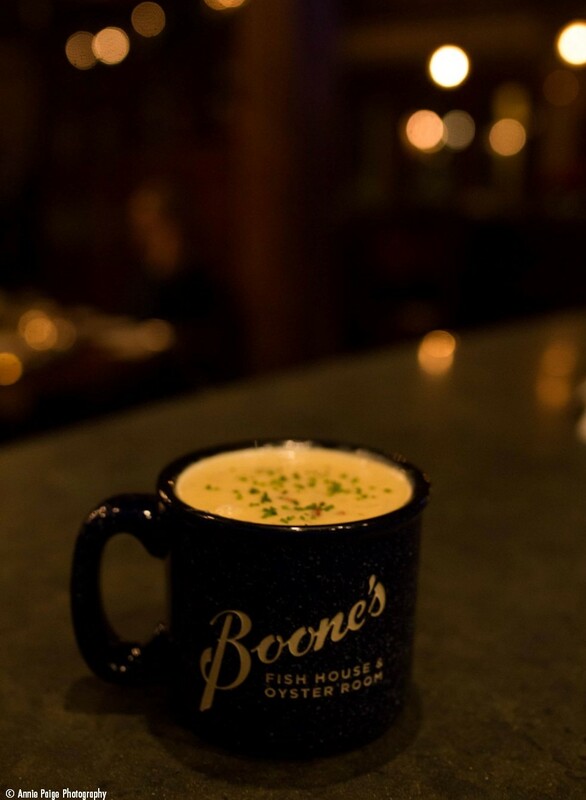 Visit Boone's, a landmark seafood restaurant on Portland Harbor since 1898 — featuring the original baked stuffed lobster, oysters and wood fire grilled entrees. From your choice of two outdoor decks, watch boats on the harbor while enjoying a beverage, see lobstermen bring in the daily catch, or just enjoy a sunset cocktail as you breathe in the ocean air. It’s a captivating scene that changes with every tide. That’s the charm --- an excursion to Boone’s always has fresh appeal, so come often! The menu teems with native seafood like fresh Maine lobster steamed over rockweed, fried clams as well as wood-grilled fish and steaks. Then there’s Boone’s signature dish, the baked stuffed lobster. Alexander Boone invented the baked stuffed lobster when he opened Boone’s right here on the Portland Waterfront in 1898. Today we still do it the way he did, stuffed with fresh Maine seafood and a perfect blend of savory seasonings. Our raw bar will delight and tantalize with fresh shucked Maine oysters and drink of your choice. The entire menu, including daily features, is lovingly prepared by our talented and distinguished kitchen professionals, led by Chef Timothy Mitchell. 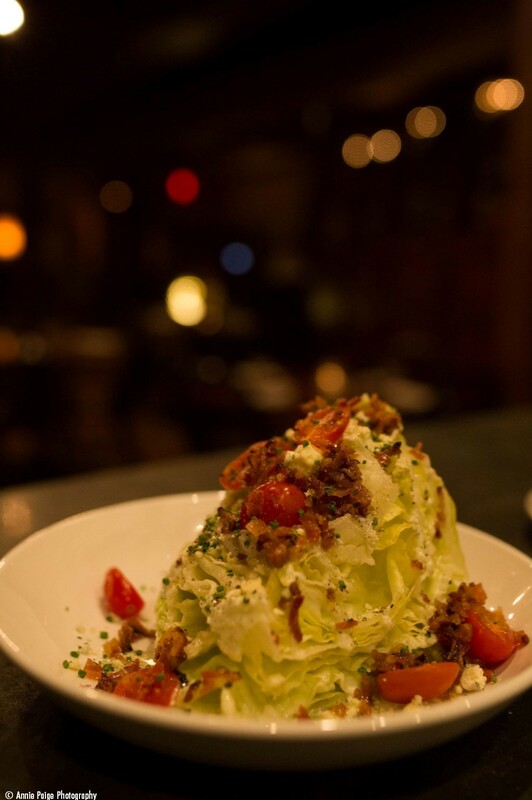 Boone’s is perfect for a romantic date, business meeting or a family feast. Enjoy fine seafood by the cozy wood-burning fireplace, at one of our bars or outside in the salt air. Too hard to pick a favorite from tonight’s featured dishes line up, because they’re all SO GOOD 🙌 Jonah Crab Bolognese, Wood Grilled Polpo and Peel ‘N Eat Rock Shrimp. Boone’s is excited to be participating in Seaweed Week April 26-May 4. This event is presented by Heritage Seaweed Shop and is a food and drink festival celebrating the harvest of Maine kelp. Join us on Easter Sunday for a full brunch buffet 10:00-3:00. Members of our rewards program earn double points on Sundays. Not a member yet? We can set you up with a rewards card at your next visit! Call (207) 774-5725 from 11am – 9pm daily, or book online with OpenTable. Boone’s Fish House & Oyster Room has several options just perfect for what you have in mind, including weddings, holiday parties and business events. Featuring an expansive deck made from Brazilian hardwood, an indoor & outdoor bar as well as the main dining room boasting hardwood floors and exposed beams; the second floor of Boone’s offers space for up to 200 guests. We encourage custom menus, and our event coordinator will be happy to work closely with you to design a distinctive and memorable affair. Our gift cards are available for purchase at the restaurant or online, and make a great gift for any occasion! Come see us at the restaurant and ask about our loyalty rewards program. It is super fast and easy - we will assign you a card and you can immediately start racking up points. Once you reach 100 points you will receive a five dollar credit redeemable just like a gift card! We will be periodically running specials exclusive to loyalty rewards members (we recommend joining our email list so you can be the first to know about any special deals). Already have a rewards card? Awesome! Thank you for your continued support. We recommend registering your card online for a few reasons: you will receive 100 points just for registering, you will have access to view your rewards in progress at any time and we will be able to look you up if you ever forget or lose your card. When registering you will be asked to provide a PIN number. To find this number please see the bottom left corner on the back of your card. Scratch to reveal your PIN number.